An eCommerce website is good for the conversion rate in any business. However, having a website is not everything. The quality actually counts. A good eCommerce website should be usable and attractive. Nevertheless, a clear and search engine optimized website would earn your readers’ trust. 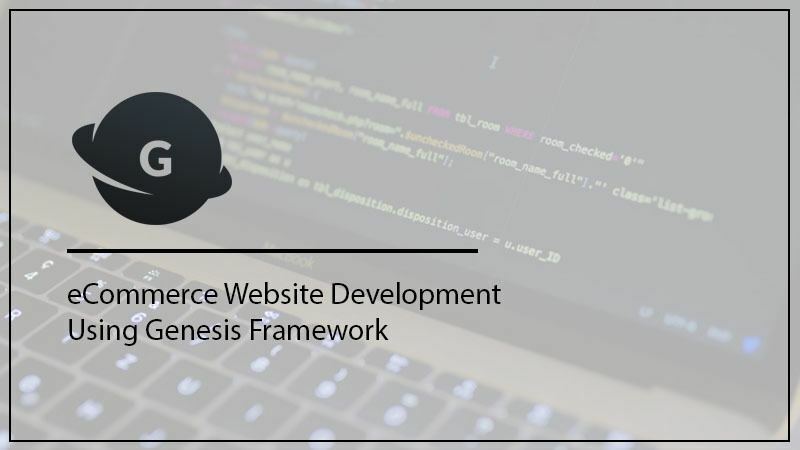 Today’s blog post is about Genesis Framework for eCommerce website development. If your WordPress website is not offering you that, you are probably using a wrong Genesis Framework. This is a WordPress theme that dictates the design aspects such as color and page layout. Are you wondering how important this is to you? It is what actually assists you build a good website without coding skills! Moreover, it will give you a user-friendly website that is easy to navigate. Therefore, Genesis Framework should be used for developing websites. This is because they make using WordPress easier. How then do eCommerce websites get to benefit from it? Business is a very dynamic subject. What sells today might not sell tomorrow.it is therefore essential to use a website that accepts changes easily. Thanks to child themes you to add, delete or even configure features of the website. You might want to change a certain aspect of your website like icons. All you need is to go to the administrative dashboard. You then proceed to the styles sheet of your website and write the change then update. Guess what, you are done! Another case is when the developers send you an update that you need a certain update. This would be either to increase the functionality or security of your website. Genesis Framework will help you do the changes very quickly. All you need is a click on the download and you are as good as done. However, alteration of a website component can always be very challenging. A change that is written always overwrites the previous changes. Well, child themes have got your back. All you need is to create a parent theme and link it to your child theme. This will assist in storing the components of the previous settings. Using child themes is also faster as you don’t have to develop your website from scratch. This will speed up the development stage of your website. It is also cheaper. Even with little programming skills, you can always change the basics of the program such as fonts. All you need is to acquire a framework that resembles the eCommerce website you would like to emulate. You can then proceed to insert the changes you are interested in. This will enable your business to maintain its relevance in the market. The main reason for building an eCommerce website is spreading information. It even gets better when your website scores better such results. That way, so many people will get to read about your business .consequently, your conversion rates are likely to go higher. Have you ever wondered what measure dictates such results? It has to do with the coding on your website. The Genesis Framework has always proven to be superior to any other Word press theme. Each child theme in the theme is built with the HTML5 search engine optimized code. Consequently, they offer a better search result. The design is more mobile friendly and works smoothly with different browsers. This little secret will always keep you ahead of the competition. In the business world, competition is very intense. One can use any means possible to get at you. Someone would try to get to the backend of your website to hurt you. That can prove so bad for business. This would imply that you own a very securely coded website.in that case, look no further than the Genesis Framework. It will add a layer of security to your website. This makes it more difficult for you to get hacked. This ensures that the contents of your website and database files are more secured. It is interesting to note that a breach of this security is no reason for alarm. All you have to do is conduct an auto update and all your previous security details are restored. That’s not all; it has a proactive technology that allows for detection and mitigation of attacks quickly. In addition, it detects repeat offenders from several sources and refutes them. Secondly, an intrusion preventing technology is always running in the background. WordPress, therefore, stays free from intrusions. Lastly, there exist partnership with Sucuri for continuous malware monitoring, scanning, and remediation. Isn’t your business worthy of such security? The main aim of a business is profit generation. This guarantees the sustainability of the business. 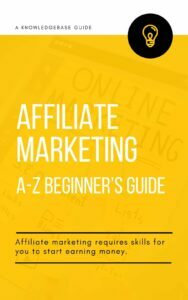 Besides being a cheaper marketing strategy, you will be amazed at how much it would cost you to build a word press website. It won’t cost you a fortune to get a website with Genesis Framework. It is important to note that you won’t be making the website from scratch. Consequently, it will cut down the cost as all you need is a template to develop further. You won’t have to incur many costs just to get a market standard anymore. You can as well purchase it and use it whenever you want to construct a website. All you have to part with is just a minimum of $100. This is cheaper compared to the other types though. Some designs cost more but you should consider the basic one. In addition, experts from Studio Press continually update and maintain the program all for free. Therefore, it is the most economically convenient word press theme if you look at the bigger picture. This simply means altering the website to personal specifications. This will allow you to express yourself more as a business person. Are you wondering how? Unlike in other websites, an e-commerce website requires a given formatting to achieve maximum functionality. This implies that you have to conduct several customizations to suit your customer’s needs. A good eCommerce website should have a logo, branded product and social media links among others. It good website should always incorporate several factors to achieve maximum functionality. However, it is very difficult to undertake this. You might find yourself interfering with the codes of the program. Consequently, the whole website could come crushing on down. This is where generic framework comes in handy. It will enable you to insert every content easily. All you need are basic computer activities such as drag and drop and double-clicking. It is also easy to install plugins with just single a click. This will assist you to add social media icons and links. Your website is more attractive I tell you. This is a website that reflects on your store and personality. In addition, the customer experience is given top priority. Most importantly, navigation of the website should be familiar and natural.it should offer your customers easy access to the website. WordPress websites based on Genesis Framework are perfect for such businesses. This is because it is one of the most user-friendly websites you will find. Thanks to synthesis hosting platform, your users will get to enjoy very fast load times. In reference to surveys by Akamai and Gomez.com, almost half the web users love a site that loads in less than two seconds. If a site takes more than three seconds to load, then the users are likely to leave the site. This means that ¾ of the web users cannot return to a site with loading problems neither can they refer another user to such a site. This is among the few sites that update automatically. This ensures that it has up to date features .this will make your website compatible with every modern day browser. Together with search engine optimization, any business is almost guaranteed of better sales. The website further offers an intensive 24/7 customer support to assist with any complications. Are you interested in acquiring an e-commerce Word press website? It is advisable to go for one with the Genesis Framework theme. This is because it has proven to save time and cost. Besides, they make the website more secure and user-friendly. Besides, the websites are standardized to modern market trends with good search engine returns. You will enjoy customizing the website to meet the demands of any market out there I tell you. Most importantly, you will like it because it enables you to load all the basics of a website without congestion. You also don’t have to worry about the images you are putting on the website with the fear of crushing or slowing load times .loading times are very efficient and your customers will have a good experience. They might even refer more people to your websites. That can only mean better sales. With their 24/7 customer service, you can always initiate a live chat when faced with a problem. The fact that most features are always automatically updated for you is very commendable. Most importantly, you don’t have to always have to keep an eye on most aspects of your website. Simply let Genesis Framework do it for you. It is worth trying indeed.